Android 2.2 OTA Update Hitting DROID Right Now! 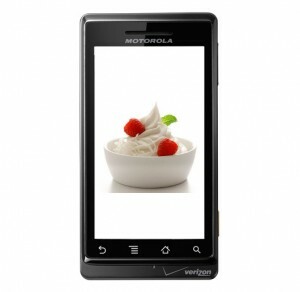 Remember that report that all FRG Froyo builds for the Motorola Droid had been pulled? Please laugh that off as the FRG01B updates have resumed tonight, only a day after we predicted they would. No idea what may have caused the delay, but you should be seeing your phone with a notification to update any time over the next few days. Of course, you can still manually update through this post. Let us know in the comments if you’ve received it!